View More In Peppermint Leaf - Page 4. Altoids®, The Original Celebrated Curiously Strong Mints®, are specially formulated to a recipe many times stronger than ordinary mints. 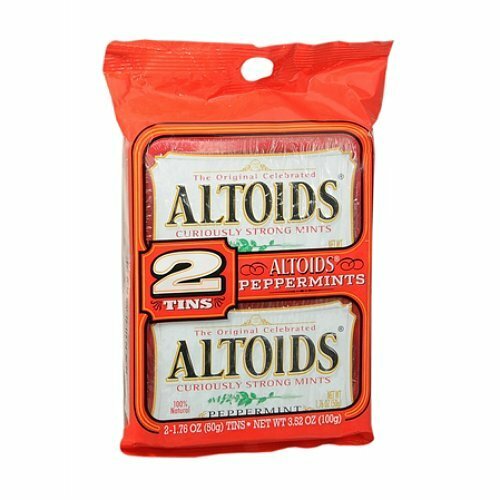 Altoids® Peppermint have been prepared to a traditional recipe based on oil of peppermint for over 200 years. specially formulated to a recipe many times stronger than ordinary mints. Peppermint have been prepared to a traditional recipe based on oil of peppermint for over 200 years. If you have any questions about this product by altoids, contact us by completing and submitting the form below. If you are looking for a specif part number, please include it with your message. Frontier Herb Peppermint Leaf Organic Cut And Sifted - Bulk, 1 Lbs.